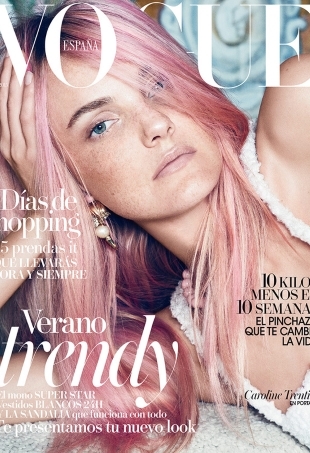 "Vogue Brazil got these right." It takes a pro like Caroline Trentini to do justice to this awful Christian Dior jumpsuit on Vogue Japan's October 2015 cover. Are these Versace girls at heart? We think not. 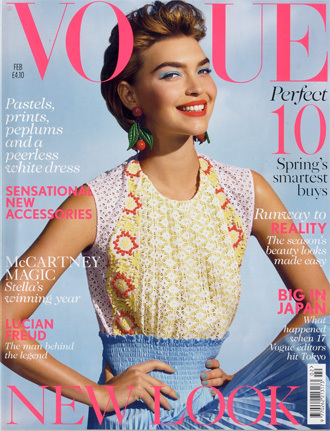 Vogue Ukraine managed to impress us last month, but can the publication do it again? "I love Caroline but this is not a good cover... At all." "I don't like the dress, but she looks very beautiful and quite fresh."